Welcome to Age of the Zombies! A plague has ravaged the Earth and changed the world as we know it. Millions upon millions have been transformed into flesh-eating zombies that roam the Earth with an unquenchable thirst for the living. Those fortunate enough not to have been infected are in a fight for their lives. Spread out across the globe… small groups struggle each day to see the next. One such group of survivors are trying to reach out to anyone who's still alive… They live in… the Age of the Zombies. The year is 2013... A plague has begun to spread across the globe at an alarming rate. As people of all walks of life fall in the wake of this disasterous plague, scientist rush to find the answers to save mankind. and the Zombies as themselves. A promo teaser trailer for our up coming audio drama: Age of the Zombies. 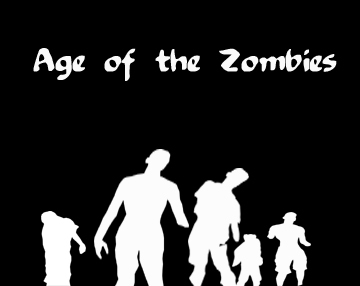 A promo teaser trailer for our audio drama: Age of the Zombies. After being rescued from town, the Murphy's are welcomed into Storm Haven. While across the ocean in Lockerbie... Rob, Catherine, and Ian begin the fight for their lives. Can Rob rescue Catherine and Ian from the diabolical Doctors in their Lockerbie compound? The crew at Storm Haven receive a distress call from a rescue station they built. The Rescue and Recovery team welcome a new memeber to the crew, but that's over shadowed by a new threat... someone yelling wolf. While the residents of Storm Haven go about their daily business... Jake and Steve come face to face with the group crying wolf.